Dengue Fever, Causes, Symptoms, Prevention, Treatment and Vaccine. What Are The Treatment of Dengue Fever? Dengue Fever is a disease similar to malaria fever because is transmitted by mosquitoes. Their type is called Aedes. Even though this type of viral diseases is in the blood, people cannot pass it on directly to one another. Instead, it is transmitted by the insects. Over the last 50 years, Dengue outbreaks have affected 22 different African countries. Around the world, the outbreaks of it include 100 million cases. Since the disease is being transmitted by mosquitoes, the control of their population is one of the key prevention actions. Dengue fever is a disease caused by a family of viruses transmitted by mosquitoes. It is an acute illness of sudden onset that usually follows a benign course with symptoms such as a headache, fever, exhaustion, severe muscle and joint pain, swollen lymph nodes (lymphadenopathy), and rash. The presence of fever, itchy rash and headache (the “dengue triad”) is characteristic of dengue. Other signs of dengue fever include gums bleeding, severe pain behind the eyes, and red palms and soles. Dengue goes by other names, including “breakbone fever” or “dandy fever.” Victims of dengue often have contortions due to the intense pain in the joints, muscles, and bones, hence the name breakbone fever. Slaves in the West Indies who contracted dengue were said to have dengue fever because of their postures and gait. Dengue hemorrhagic fever is a more severe form of the viral illness. Symptoms include a headache, fever, rash, and evidence of bleeding (hemorrhage) in the body. Petechiae (small red spots or purple splotches or blisters under the skin), bleeding in the nose or gums, black stools, or easy bruising are all possible signs of hemorrhage. This form of dengue fever can be life-threatening and can progress to the most severe form of the illness, dengue shock syndrome. High fever and other signs of dengue last for two to four days, followed by a rapid drop in body temperature (defervescence) with profuse sweating. This precedes a period with normal temperature and a sense of well-being that lasts about a day. A second rapid rise in temperature follows. A characteristic itchy rash (small red spots, called petechiae) appears along with the fever and spreads from the extremities to cover the entire body except for the face. The palms and soles may be bright red and swollen. Because dengue fever is caused by a virus, there are no specific antibiotics to treat it. Antiviral medications are also not indicated for dengue fever. 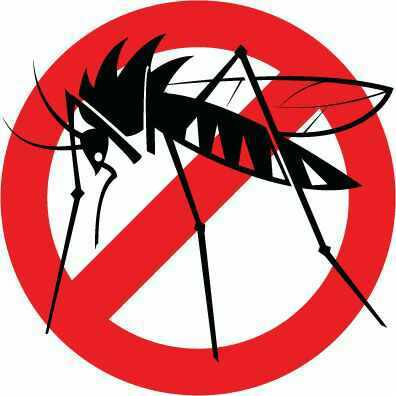 For typical dengue, the treatment is concerned with relief of the symptoms and signs. Home remedies such as rest and fluid intake (oral rehydration) are important. Pain relievers such as aspirin and nonsteroidal anti-inflammatory drugs (NSAIDs) should only be taken under a doctor’s supervision because of the possibility of worsening bleeding complications. Acetaminophen (Tylenol) and codeine may be given for a severe headache and for joint and muscle pain (myalgia).